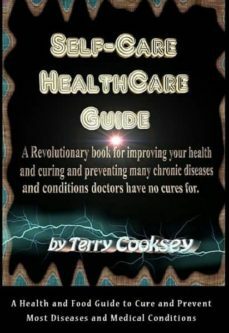 A Revolutionary book for improving your health and curing and preventing many chronic diseases and conditions that doctors have no cures for. Doing what this book says will cure and prevent at least 80% of all disease. Are these miracle cures ? They only seem like miracle cures because of your unhealthy diet & the saturation of poisons in your food, drinks and water supplies and your personal hygiene items ! The Self-Care HealthCare Guide is A Health and Food Guide to Cure and Prevent Most Diseases and Medical Conditions. Self -Care HealthCare Guide includes cures for arthritis, bleeding gums, gout, dandruff, headaches and even diseases like cancer, breast cancer and bladder stones. This book empowers you with the knowledge to save your own life and cure yourself of any and all disease. And for the rare few who do not, the least you will do is significantly improve your health. When you get the book, know that Chapter 3 means get both a water and shower filter. Then use Chapters 4 & 5 in guiding you in eliminating poisons from your food and drinks. Chapter 6 gives the details of what the author went through with doctors as he was "dying". Chapter 9 gives you specific things to speed your healing for specific diseases and Chapter 10 gives additional information on the things used in those cures; and includes The Perfect Diet !